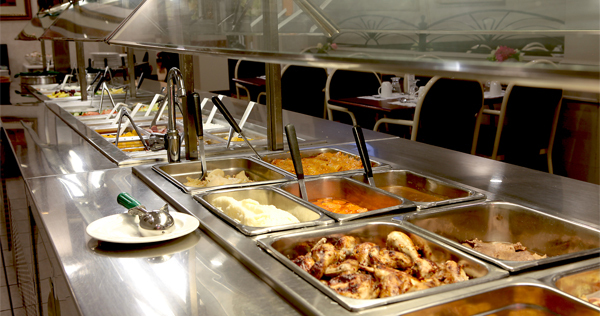 The Continental Inn & Suites’ Restaurant & Dining Room offers homestyle meals served up with an extra heaping helping of our friendly hospitality. We’re open from 06:30 a.m. – 10:30 p.m., Monday – Friday; 07:00 a.m. – 10:30 p.m. on Saturdays and 07:00 a.m. – 10:00 p.m. on Sundays and Holidays. We’re renowned for our all-you-can-eat Lunch, Dinner, Saturday Breakfast and Sunday Brunch Buffets, but we also offer a full menu, including all-day breakfast as well as daily breakfast and soup & sandwich specials.